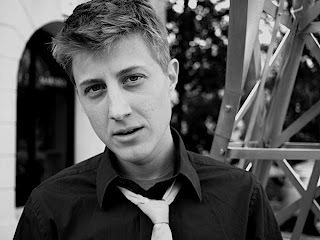 Scott Turner Schofield is a man who was a woman, a lesbian turned straight guy who is usually taken for a gay teenager. A former debutante and homecoming queen coming out in the Deep South, the work and the life on which it is based contain hilarious contradictions bordered with the possibility of terrifying consequences. Key to the work is a keen awareness of culture and self that maintains an accessible perspective even within the most particular of circumstances. As Kt Kilborn, Schofield interned for lesbian performance artists Holly Hughes and Carmelita Tropicana, who directly influenced her early work. She then spent two years working for Amy Ray (of the Indigo Girls) at Daemon Records, where she learned a blend of art and activism that served as her model for making a community impact as a touring performer. Kilborn's social, medical, and legal transition to Scott Turner Schofield began in 2004, when he simultaneously became a full-time performance artist. Schofield tours year-round, working on college campuses as often as at theatrical institutions. In addition to consistently sold-out performances, his residencies include lectures, workshops with youth (including fraternities and sororities) and administrators in college, municipal, and corporate settings. This combination of advocacy and art has significantly changed non-discrimination policies nationwide. Schofield is the recipient of several awards for his performance work, among them a "Fruitie" for Off-Broadway Performance; a 2007 Princess Grace Foundation Fellowship in Acting; and a Creation Fund Commission from the National Performance Network for "Becoming a Man...," supported by The (Alpert Award Winning) Pat Graney Company (Seattle), DiverseWorks (Houston) and 7 Stages (Atlanta). Two Truths and a Lie is a collection of three autobiographical solo performances which have toured nationally to critical acclaim: "Underground Transit" (2001), "Debutante Balls" (2004) and "Becoming a Man in 127 EASY Steps" (2007). The book features a foreword by noted feminist scholar Judith (Jack) Halberstam. It was a finalist for 2 Lambda Literary Awards in 2008, and was included on the American Library Association's Rainbow List in 2009. In addition to touring his solo work, Schofield acts and writes for theater and film. Interview requests can be made at booktransperformance@gmail.com.